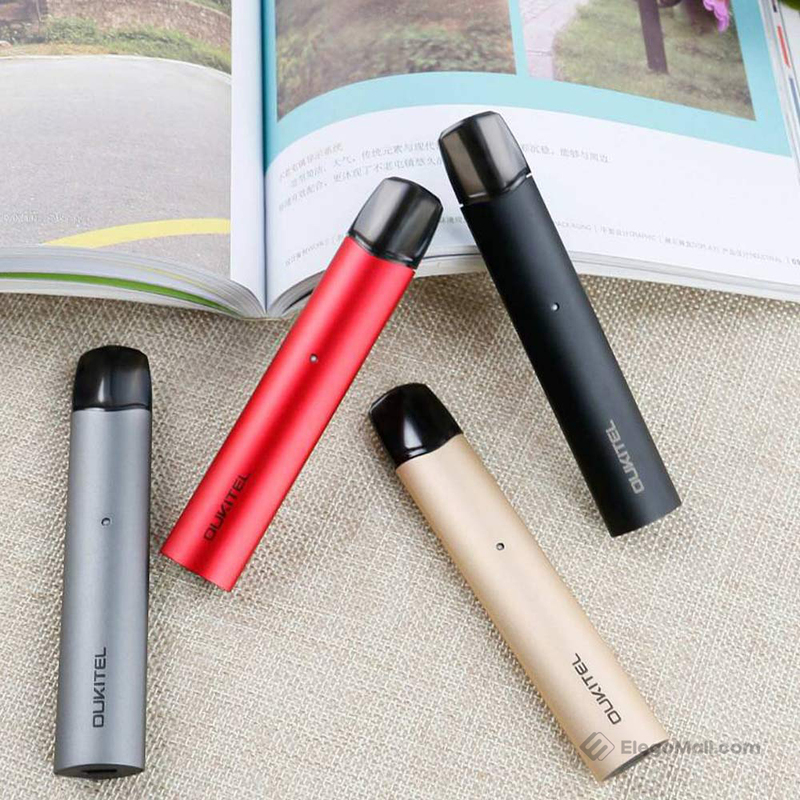 Oukitel Lark AIO Pod Vape Kit comes with high performance and portable size. 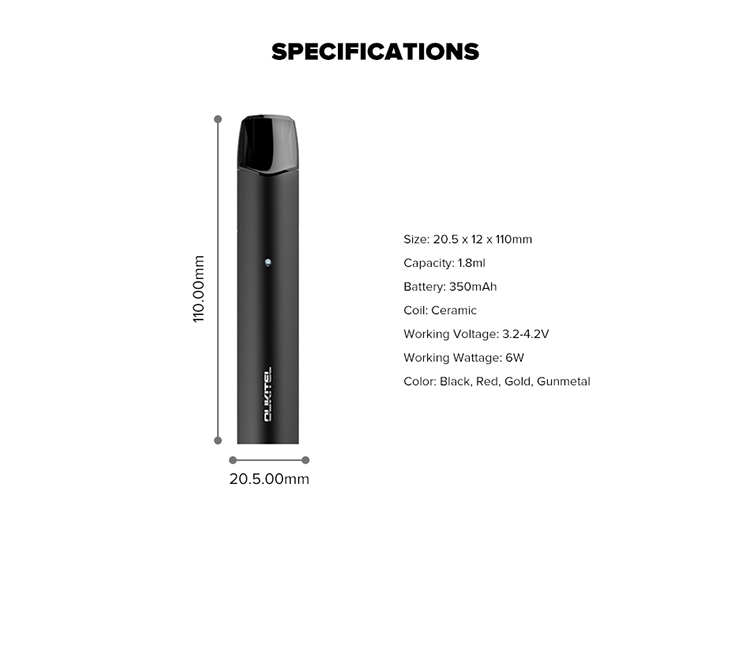 It adopts advanced mesh honeycomb style ceramic coil to deliver huge vapor cloud and purest flavor. 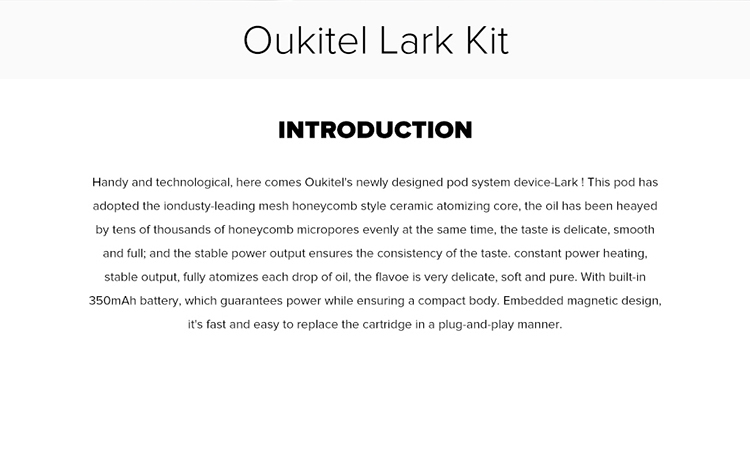 The Lark battery has magnetic connection design for easy to connecting pod.